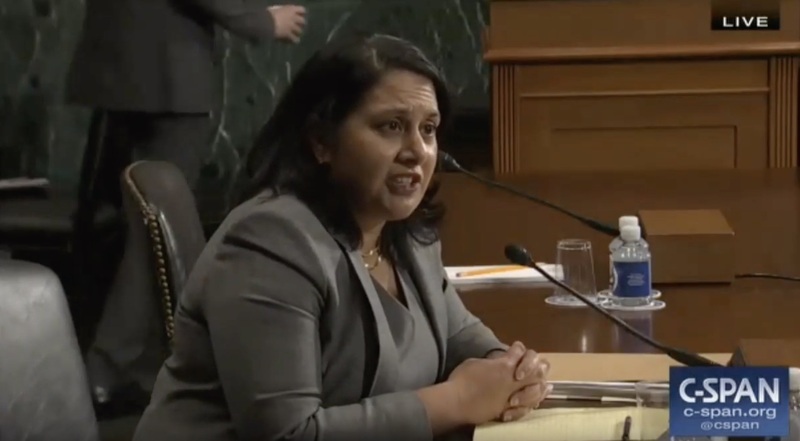 Republican Sen. Ted Cruz of Texas slammed Democrats and New Jersey Sen. Cory Booker for displaying a “hostility to religious faith” Tuesday during a Senate Judiciary Committee hearing vetting Neomi Rao for a seat on the D.C. Circuit Court. “No, I do not,” Rao responded. Booker ended his line of questioning by asking Rao if she had ever employed LGBTQ person on her staff, to which Rao revealed that she does not know. “I take people as they come, irrespective of their race, ethnicity, sexual orientation. I treat people as individuals. Those are the values I grew up with and those are the values I would apply if confirmed,” Rao said. Cruz went on to reference Article 6 of the Constitution, which prohibits a religious test of any nominee to public office. “I don’t believe this is a theological court of inquisition. I think the proper avenue for investigation of this committee is a nominee’s record,” Cruz concluded before going on to his line of questioning.